This is one of the most well written books that I have ever read. This book had a very good story with a big variety of vocabulary. The story had many clues that you had to really think about after you read that part or chapter. If I had done anything different, I would have this as a third person story instead of a first person. Just to see how all of the people think in the story. The age group for this book I would say to be be around the fifth graders to sophmore range. Because the vocabulary might be a little to simple for kids as a senior or going into college, but it helps the readers think about the book though out the story. Overall I really would want to read the whole entire series, and see how the characters develop throughout the story. 1. Why did Thomas run into the maze while the doors were closing? 1a. Because he wanted to save Alby and Minho from the maze and grivers. 2. What was the reason for Ben to go on trial? 2a He was stung by a griver and because of that he was trying to kill Thomas. 3. Why did gally not trust Thomas? 3a. The reason for Gally not trusting Thomas is that everything started to change right when Thomas arrived at the Glade. 4q-Why did they want to save Alby even after he was stung in the maze? 4a. They all wanted to find out what happens when you are stung and if you can cure him or not. 5a. 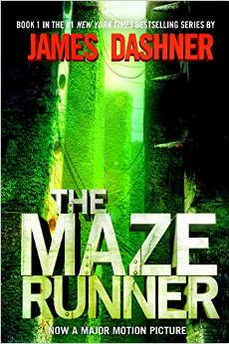 The reason for Thomas becoming a runner so quickly was because Thomas, when in the maze killed a griver that was trying to kill Minho and Thomas. He used his fast reflects and his wittiness to save them both. 6. Why does Teresa only want to speak with Thomas? 6a. He is the only person there that she trust. 7. Why was Gally so mad at Thomas? 7a. Because he started to get everyone’s trust even though he has only been her for a couple of days. 8. Why did the runners think there was no way out even though they reached the exit? 8a. They don’t know how to get out because they have no clues or a way out of the exit. Until Thomas arrived they has no hope. 9. Why did Gally not trust Minho? 9a. He did not trust Minho because he was a little bias towards Thomas and he is his partner in the maze. 10. How did Gally become the leader after Alby died? 10a. Newt was supposed to become the leader but everyone did not trust him because he was Thomas’s friend. 11. Why did Gally not want anyone to leave? 11a. That has been the number 1 rule the whole time someone has been in the maze. They never want to break it and he doesn’t want people breaking it all the time now. 12. According to the ones who saved to Gladers from the creators, where are all of their parents/family? 12a. Not, one person knows what happened to their parents or where they are hiding. 13. What happens to the woman who tells Thomas to save them from the flare after she speaks to him? 13a. She gets run over by a bus because she has the flare. 14. The trigger they found in the dead Griver help make what open? 14a. It helped them open the doors so they can escape the maze. 15. Why have the runners not been able to find the exit of the maze, even after 2 years. 15a. Because they were not solving the maze correctly because they had no pattern to escape.